Per Deadline: “…..Will Ferrell and Mark Wahlberg as guys from football-obsessed towns who lead rival teams in an annual tackle football game for bragging and trash-talking rights.” Word is that they plan to pack the film with tons of great cameos like they did in “Anchorman”. 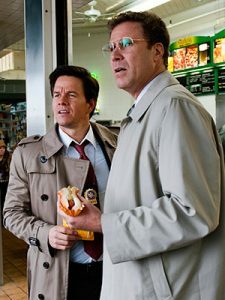 Alec Baldwin is already signed on to play Wahlberg’s father. This is shaping up to be a pretty great comedy. Hopefully Steve Carrell, Ben Stiller, Seth Rogen, and a few others will make their way to this great sounding project. Looking forward to this. This entry was posted on Wednesday, May 18th, 2011 at 3:06 pm	and is filed under Film, News. You can follow any responses to this entry through the RSS 2.0 feed. You can skip to the end and leave a response. Pinging is currently not allowed. « John Turturro To Direct His First Broadway Play Featuring Ethan Coen, Woody Allen, And Elaine May!! !